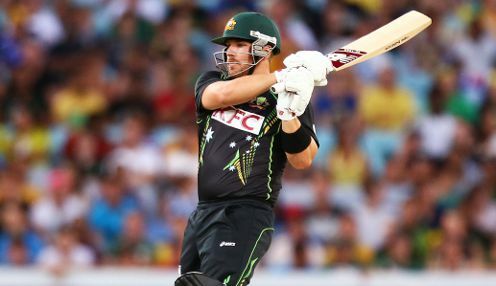 Australia limited-overs opening batsman Aaron Finch hopes to make an impact in all forms of the game after agreeing a deal to play for Yorkshire this summer. The powerful 27-year-old right-hander will head to Headingley after featuring for the Hyderabad Sunrisers in the IPL, with Finch excited by the challenge of trying to help the Tykes secure silverware. To help Yorkshire be a force in all forms of the game will be a good challenge for me. Finch told the county's official website: "I hope to play in all formats while I'm at the club and even though the T20 season will be very exciting, I'm looking forward to testing myself in red ball cricket too. "It is important for my cricket development to play in English conditions and to help Yorkshire be a force in all forms of the game will be a good challenge for me." Yorkshire are 1/1 to win the County Championship division one title this summer, while they are 1/1 to triumph in the Royal London One-Day Cup and 1/1 to win the NatWest T20 Blast. Finch holds the world record for the highest score in a T20 international, bashing England for 156 at Southampton in August last year, hitting a record 14 sixes. He went on to make two centuries in the one-day series against England in Australia in January and Tykes director of cricket Martyn Moxon is delighted to have landed a player of the calibre of Finch. Moxon added: "We want to be among the best teams in one-day cricket and to have the services of one of the best batsmen in the world is a very exciting proposition for the club."